Another sunny beautiful day, the warmest yet, the leaves on the birches outside my window unfurling at a furious rate, the water view quickly disappearing behind a canopy of trees around the house. This area – my back-yard for the month of May – is a place of contrasts. 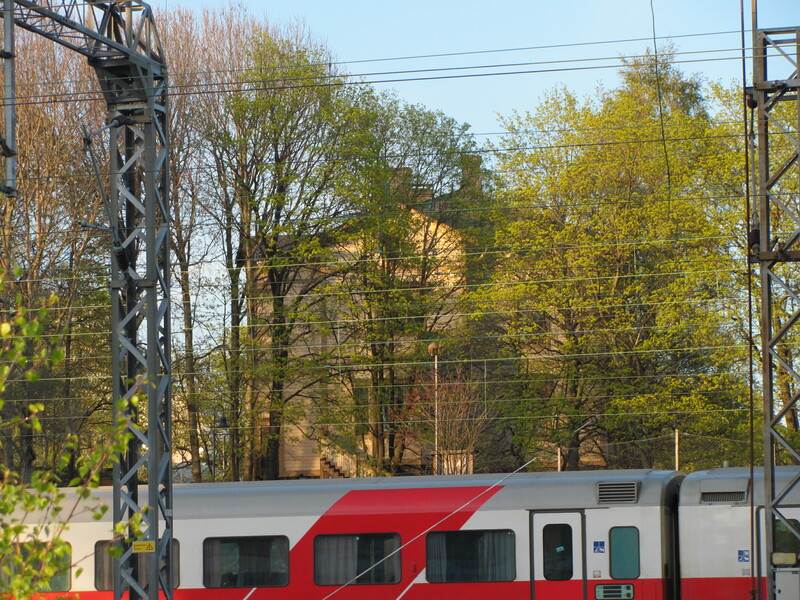 Lush greenery, bike/walk paths along water, beautiful old wooden villas, birds singing, a lovely little café overlooking the bay, a dog park/playground – and a huge swath of ten plus very noisy train tracks within view – the Eliel Saarinen central railway station only a few minutes away. Where barking dogs compete for attention with screeching trains and soft birdsong miraculously manages to rise above the urban noise and din. 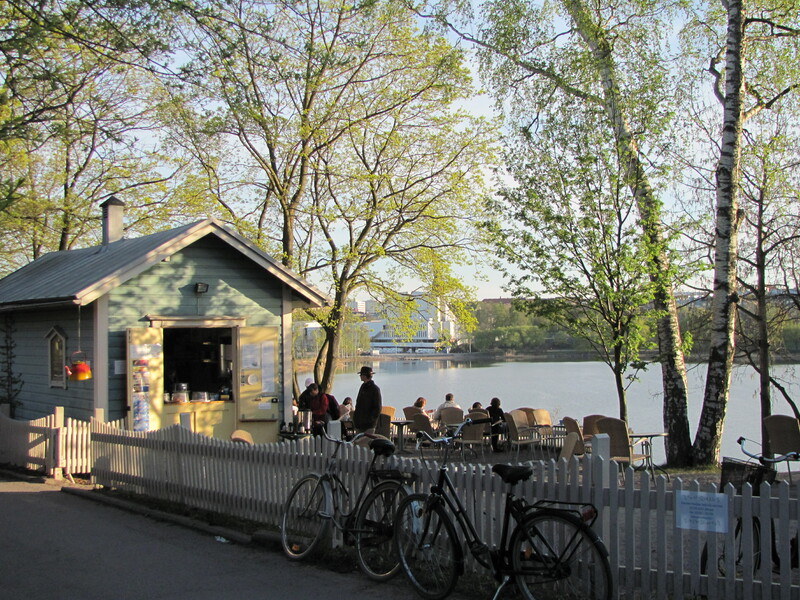 Linnunlaulu is an area of beautiful historic timber houses, bordering the Töölönlahti Bay. Originally 15 villas were built in the late 19th century. Today only 8 are left. 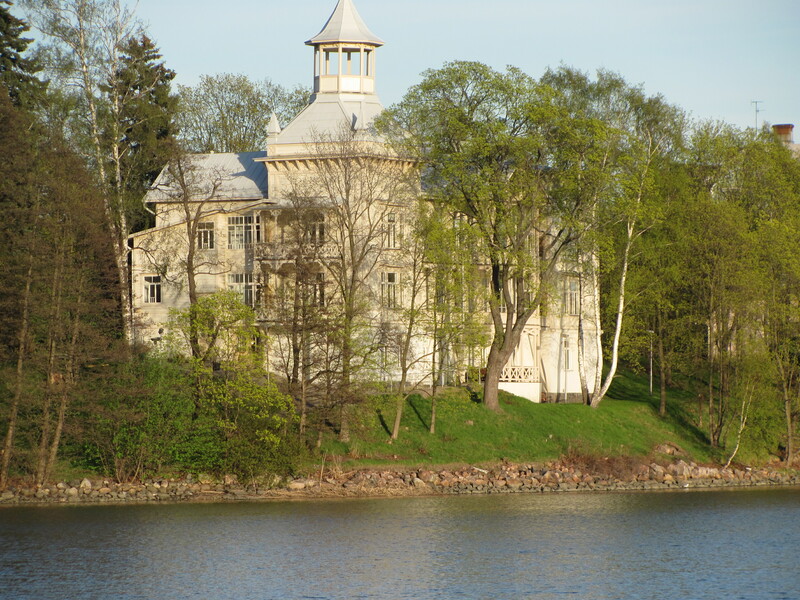 Though railroad expansion caused about half of the villas to be demolished in the 60’s, the remaining villas – in various stages of restoration and repair – are now under protected status by the National Board of Antiquities in Finland. 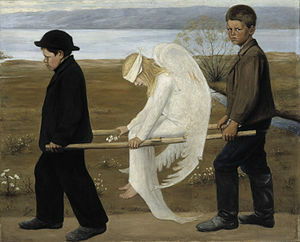 The realistic landscape in the background of the painting The Wounded Angel is the Töölönlahti bay, historically a popular spot for leisure-time activities among the working classes and the location of many charity institutions. The painting by the Finnish national treasure, Hugo Simberg, depicts two healthy boys carrying an injured girl holding a bouquet of snowdrops, depicting both a brutal reality – and hope. The same road pictured in the painting above is now a popular 2.2 km park trail – used for both leisure and as an efficient way to get around the city. Historically important, this area pulses with life. 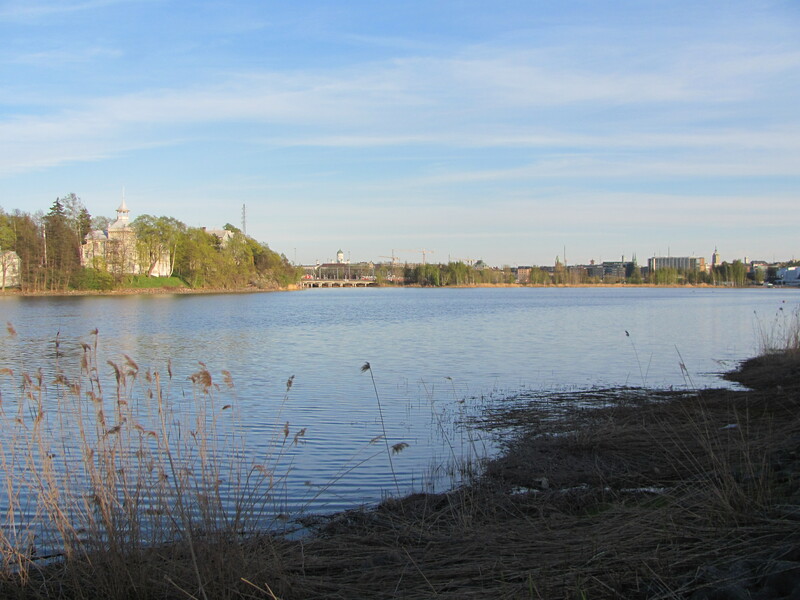 Linnunlaulu translates to Birdsong, an apt word to describe this beautiful corner of Helsinki. Teeming with walkers, picnickers, cafe-goers, bikers, young and old – the May sunshine and warmth has brought both visitors and residents out of hibernation. 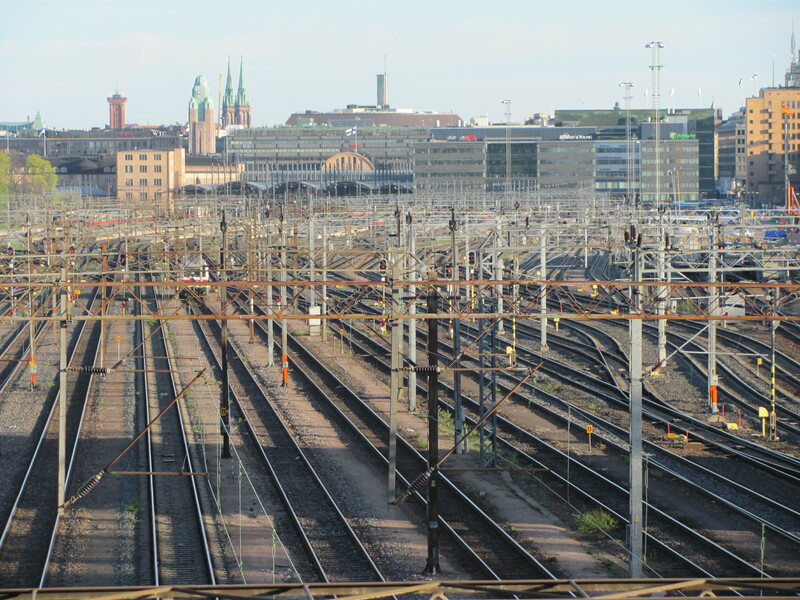 Pingback: Helsinki I | 2 humans, 2 cats, 1 dog. 300+days. Finland.